In commemoration of that generation of post World War II Irish emigrants, both men and women, who left their homes, counties and country. They came to work and rebuild this city and country, ravaged and destroyed by war. 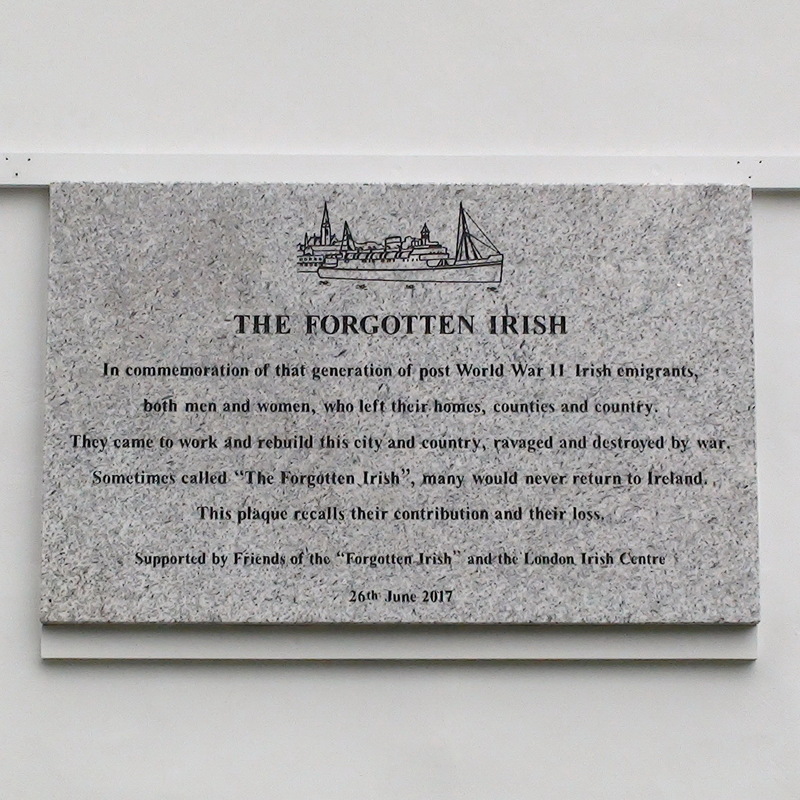 Sometimes called "The Forgotten Irish", many would never return to Ireland. This plaque recalls their contribution and their loss. 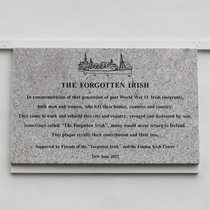 The Irish Post has a photo of a similar plaque erected by this group in Dublin. This plaque is on the wall behind the arch.